The defiant impeached former Lithuanian president Rolandas Paksas is not giving up. After a new attempt to lift his lifetime ban to run for the top post in 2019 failed, the now member of the European Parliament and the leader of a new nationalist movement, «I am calling the Nation» seems undaunted and this week has launched campaign aimed at scrapping the euro and restoring the litas, the Lithuanian currency that circulated in the country until the end of 2014. Denying Paksas’ right to vie for an oath-mandating election, Lithuania severely violates the Strasbourg-based court’s 2011 ruling that stated that the lifetime ban was disproportionate and ran counter to the European Convention on Human Rights. Intimidated by Paksas, pilot by profession, Lithuania faces sanctions from the Council of Europe’s Committee of Ministers, which monitors the execution of the Strasbourg court’s judgments. The committee has already placed Lithuania under the so-called «enhanced supervision procedure». A fresh attempt to lift a lifetime ban Paksas to run in elections fell through last week after 78 members of the Seimas backed a constitutional amendment allowing an impeached person to participated in elections, 16 votes short of the necessary 94 for the amendment to pass. Fifteen lawmakers, mostly from the opposition Conservatives fraction, voted against the amendment and four abstained. «It is unjust to Paksas and it is odd that, with Lithuania claiming it is a law state and abides by law, here you have a case where a ruling of the European Court has been evaded for seven years now. That does not reflect well on Lithuania’s commitment on rule of law,» Kęstutis Girnius, associate professor of the Institute of International Relations and Political Sciences at Vilnius University, told BNN. «Paksas, before and after the impeachment, has somehow generated an exceptional amount of hate towards him and it is has always reflected on Lithuanian Parliament’s inconsistent way in dealing with the European Court ruling,» he added. «The decision not allow him to run for the presidency does not surprise me, however. It was expected,» Girnius emphasised. A constitutional amendment must be voted twice by the Seimas with an interval of at least three months between the votes, and requires a two-thirds majority, or 94 votes, to be passed. With Gabrielius Landsbergis, the leader of the Conservatives, known officially as Homeland Union- Lithuanian Christian Democrats, vehemently opposing allowing Paksas to run in an election requiring oath (only EP elections fall out of the requirement), Paksas’ chances to enter the 2019 presidential race are near to nil, experts say. A couple of years ago, the Parliament tried to pass constitutional amendments that would have pave way for Paksas to run in elections, but failed to garner enough votes. The latest amendment, submitted by the ruling Farmers and Greens and the Party of Justice and Order that was headed by Paksas for many years would have allowed an impeached person to be elected president or a member of Parliament 10 years after his or her removal from office. The amendment was tabled to comply with the Strasbourg-based court’s 2011 ruling. To remind, Paksas was ousted by impeachment in April 2004 after the Lithuanian Constitutional Court ruled that he had grossly violated the Constitution and his oath of office by granting Lithuanian citizenship to Yuri Borisov, the main financial supporter of his presidential election campaign. To believe the leaked documentation recently, Paksas, if elected, had committed to provide Russia-related Borisov services valued of three million US dollars. The Constitutional Court has ruled that a person removed from office through impeachment can never again hold a public office that requires an oath and that the Constitution needs to be amended to lift the ban. With the ban intact, Lithuania risks of being fined by the Council of Europe which serves as the watchdog in implementing the Court’s rulings in the European Union’s member states. According to Donatas Murauskas, head of the Ministry of Justice’s Division of Representation at the European Court of Human Rights, Europe’s Committee of Ministers will discuss this issue on December 4-6 and may adopt a resolution, stating that Lithuania fails to meet its international obligation by not implementing the European Court of Human Rights’ ruling on paving the way for Paksas to stand as a candidate in elections. «The implementation of the Paksas case will be publicly discussed during this sitting. And it’s very likely that a Committee of Ministers resolution against Lithuania will be proposed for the first time,» Murauskas said last week. «It would constitute an international sanction, a political document meaning that Lithuania does not meet part of its international commitments arising from its Council of Europe membership. It would have a strong affect on Lithuania’s reputation,» the lawyer said. In early October, Paksas announced that he’s starting «a new phase» in his life and was establishing a new movement of «healthy patriotic forces», known as «I am Calling the Nation!», after leaving earlier the Order and Justice party he co-founded. Paksas says it has already been registered and it will soon start establishing regional representations and offices. «We will nominate to the European Parliament people who are in favour of… a state with its language, traditions, customs, currency, territory. And also those people who want and see the opportunity, so they will be backed and supported, be it one election or another, education or spreading of information, so that it doesn’t broadcast one opinion,» Paksas said. Paksas founded the Liberal Democratic Party with allies in 2002 and later renamed it the Order and Justice Party. Litas was the Lithuanian national currency until the end of 2014. With the euro adopted from January 1, 2015, prices of groceries and goods have doubled and tripled in Lithuania. The posters will hang until November 26 and the campaign will cost Paksas 17,000 euros. According to Tomas Janeliūnas, a political analyst, Paksas still cherishes hopes of coming back to the Lithuanian political arena, however the analyst questioned if Paksas himself «imagines» how he would practically be able to implement the intent to revive the defunct national currency. «Although he expressed his intent to run for a seat in the European Parliament in 2019, I doubt whether he under the flag of the new movement can climb over the 7-8 percent threshold to the European Parliament,» the analyst said. 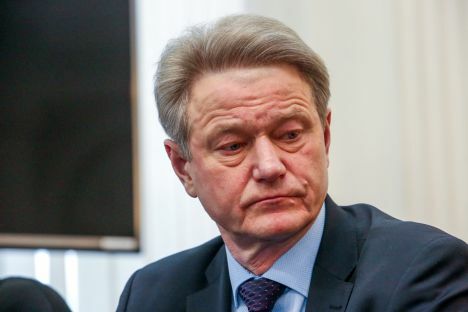 According to Girnius, Paksas‘ calls to abandon the euro and exit the European Union and NATO is «a helpless effort» to differentiate himself from all the other politicians. «He’s been out of active domestic politics for the last ten years or so. Bringing up such ideas he is appealing to his former electorate base that existed between 10 and 15 years ago. Then, remember, many people were dissatisfied with the situation and wanted a certain amount of change. But the suggestions he’s making are so radical that even his more loyal followers will not pick up on them,» Girnius emphasised to BNN. «Those outlandish ideas of leaving NATO, European Union and the euro just won’t fly high. I think Paksas is a spent political force. The Parliament could have solved Paksas problem forever letting him run. He would have collected 5 or 6 percent of votes and would have shown that he belongs to the past,» he added.